Get some help from this friendly service droid! The small recycled tote is earth-friendly, made of 25% recycled materials, strong, and water resistant. A great alternative to a traditional gift bag, the strap measures approximately 6 1/2-inches long while the bag measures about 10-inches wide x 12-inches tall x 4 1/2-inches long. 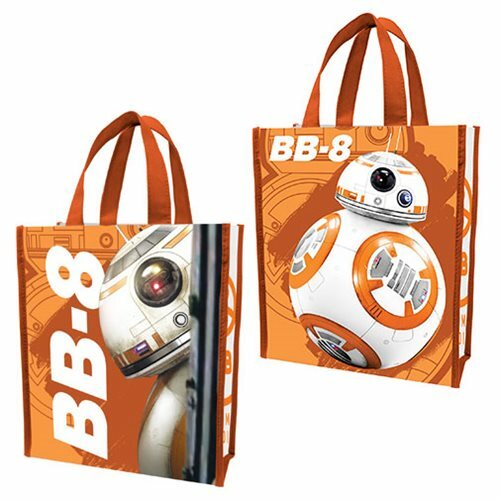 The Star Wars BB-8 Small Recycled Shopper Tote can be wiped clean with a damp cloth and includes a color hang tag.